“Tae” stands for jumping or flying, to kick or smash with the foot. “Kwon” denotes the fist chiefly to punch or destroy with the hand or fist. “Do”means an art or way the right way built and paved by the saints and sages in the past. Taekwon-Do is a version of unarmed combat designed for the purpose of self-defence. It is the scientific use of the body in the method of self-defence; a body that has gained the ultimate use of its facilities through intensive physical and mental training. It is a martial art that has no equal in either power of technique. Though it is a martial art, its discipline technique and mental training are the mortar for building a strong sense of justice, fortitude, humility and resolve. It is the mental conditioning that separates the true practitioner from the sensationalist, content with mastering only the fighting. Taekwon-Do definitely enables the weak to possess a fine weapon together with a confidence to defend him or herself and defeat the opponent as well. 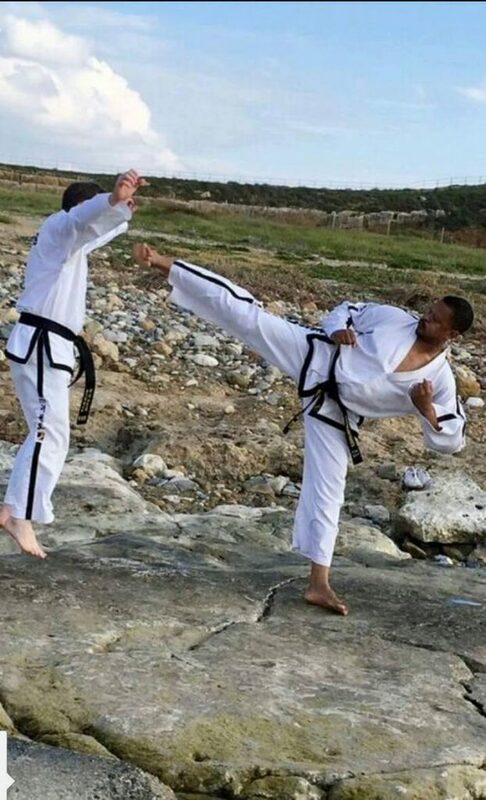 Please note that if wrongly applied, Taekwon-Do can be a lethal weapon therefore mental training must always be stressed to prevent the student misusing it.